In the latest release of SAS Visual Analytics Designer, a parameter is a variable whose value can be changed and that can be referenced by other report objects. Why is this an important introduction? This addition means that, not only can you design interactive reports via prompt controls, those controls can now map to a variable that feeds the report calculated data items or aggregated measures based on numeric or string calculations. In practice, you assign a parameter to one control in your report, and then you can use that parameter multiple times in calculations, display rules, filters or ranks, and they will be automatically updated as the value of the parameter is changed. You can also design complex reports where the same parameter can be used in multiple custom calculations, display rules, filters or ranks. Ultimately, this is the power behind parameters. A user can select a value once, whether it is a report, section prompt or even a standalone control interaction, and the parameter by-product (calculated item, aggregated measure, filter, rank or display rule) is updated in every instance within the report. The first example shows the product material cost for product lines broken down by regions. This report allows the user to select a variable waste percentage which feeds the aggregated measure: Product Material Cost + Waste. When manufacturing products there is an excess of material, i.e. 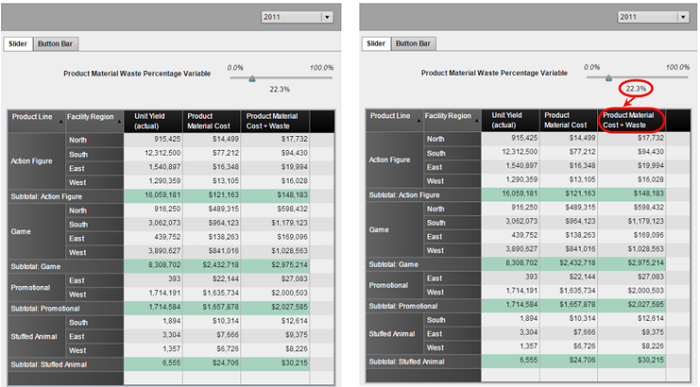 product material waste, and this report allows a user to interactively calculate the new Product Material Cost plus Waste based on a percentage variable. Create the parameter. You can create a parameter in three places: from the Data tab’s menu, by right-clicking on the data item and from the Calculated Item or Aggregated Measure advanced editor. Because I wanted to add the slider control to the report first and because this parameter will not be based on an existing data item, I used the Data tab’s menu option: New Parameter…. Then you can simply name the parameter, select Numeric as the type, enter a minimum, maximum and current value, and select the desired format. Numeric parameters require a current value, which then serves as the default value. I wanted my report users to select a 1 through 100 percent value to serve as the waste percentage variable; therefore, I used the percent format to handle the percentage display. Next, add the slider control to the report and assign the parameter role. Then create the aggregated measure: Product Material Cost + Waste. I used the Sum _ByGroup_ to support any combination of grouping used in the visualizations. Last, test out the parameter. The slider control supports both drag-and-drop and keyed entries. To key in a specific value, simply click on the number and enter your unformatted value. Side Note: If the control driving your parameter is not a report or section prompt, then you can see your parameter interactions from the Interactions View and selecting the Show parameter interactions check box. The second example uses a parameter driven from a button bar using a custom category to derive an aggregated measure. I won’t walk through this example step-by-step, but here are a few pointers. When defining the measure for this example, I used the selected value from the button bar to derive an aggregated measure based on a business rule. My business rule dictated that the Projected Yield equaled the Unit Yield (actual) multiplied by a constant. That constant was a 15% increase for High Yield states, 5% increase for Medium Yield states, and 1% increase for Low Yield states. The graphics below show how you can use either the Text view or the Visual view when defining parameters. Once defined, you can use the parameter result, in this case an aggregated measure, in multiple objects. Watch this video tutorial for an additional example of using parameters. This example was generated using SAS to extract data from web-based sources. Teri Patsilaras is a Senior Manager in the Global Enablement and Learning (GEL) Team within SAS R&D's Global Technical Enablement Division. 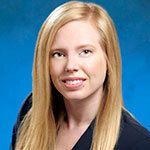 Teri works to enable SAS technologists on the latest data visualization techniques and how to leverage SAS Visual Analytics to meet customer needs. She has extensive knowledge of report design methodologies and how to efficiently and effectively apply data visualization methods. Great demo & thank you. I was looking for a resource who would show me how to use parameters in VA. This goes to my beloved topic of macro programming. I like the way you have used lite programming technique & VA to show a word counter. Looked magical. Looking forward to other posts. There is so much to do & learn in VA 7.1. I am currently learning STP for web development & VA. I think with parameters since now you can input custom text & numeric field end user can do a lot without manipulating the lasr dataset. Looking forward to your future blogs & videos. Thanks for this wonderful blog. I was looking for a way to have parameter to capture date. In one of the requirements my user needed a report which would allow him to select some start and end date, basis which some calculations had to be done. We had a work around done, where the MDY Function was made use of. Would you suggest any better option to create a parameter to capture user specified date. Let me contact you directly. I have some slides that I can't attach here. How to sum the aggregated measure resultant value, for example variable called "AAA" is calculated and the value is "1" and "-1" please find below table. Unfortunately, there is no way to out-of-the-box assign the % of an aggregated measure. You would essentially have to create a new aggregated measure that returns the desired percentage and use that value in the slider role. Can you please share the screens shot with me. I was wondering if there is any way to have the lower end slider automatically be the 1st day of the current month? Thank you for any help that you can give me on this. I am new to SAS VA. I would like to have a button bar that would allow me to dynamically change the measure in my crosstab. For example if my button bar had the options "Income, Expense, Profit" I would be able to click which one to display in a crosstab. So if the default is Income by company then clicking "Expense" would update the crosstab to display Expense by company. Let me contact you directly. I have some screenshots that I can't attach here. Could you please send the same screen shots to me. I have a similar issue where I need to swap between income generated and number of contributors. 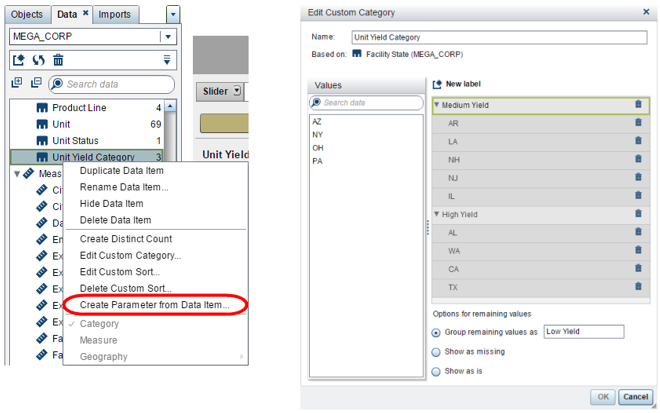 Hey Teri, do we functionality in sas VA where we can auto punch all values in list which is filtering from another list , The reason is I don;t want to use right click and select all option . I am looking for some functionality which should auto punch these values. Unfortunately, there is no way to create functionality for the user to click on to “select all” button for the list control object. The list control object’s default behavior is when the list initially displays and nothing is selected it is the same as “select all”. Then as you mentioned, you the right-click option. Hi, Thanks very much for the video .It was very helpful.I tried the same using the sample_path data and instead of comments I was using 'page' as the category. I had just 1 doubt on this, I am getting 92 as a total count of page instead of 14. Can you please help me out on how to display the distinct count of the the page value. Let me contact you directly so you can send me the code you are using to calculate your count metric. Can we use parameters created for one report in another report or in another dataset. The user selection from a drop-down list would be populated into a Text Input control (which is located above the chart) by using the functionality of a Parameter? I want to know is there any possibilities to create one button and action for the button. Hi can we make custom aggregrated measures nased on categories ? for men and women separate in data pane? is there a way to create a parameter to control the bubbles on a geo bubble map and always use the max number of bubbles ? I always have to use rank to be able to avoid the "too much data" warning. Then I am entering different values on the rank until I get the max available bubbles and that is a waist of time. I am using Time series plot where on x- axis I am using date which is in range of one quarter and on Y axis I am using some measures. On X-axis I am trying to insert reference line and I also want to update this line dynamically so that when I open report today I see reference line at today's date and when I open report tomorrow reference line should move to tomorrow's date. Any help would be much helpful.. I would like to create report where to allow users to enter the text messages and that all information will automatically getting updated/inserted in the datasets. Is there any facility available in VA? Hey Teri, I have a dashboard that uses a parameter to pass a product name to a calculated variable and the variable is used in a line chart. When user changes products the line chart changes accordingly. Works like a champ in classic view mode but we are switching to modern view and now when a new product is selected nothing happens. In designer it still works fine but not modern viewer. Any thoughts other than switch back to classic? Thanks Teri, this was helpful. You seem to have a pretty firm grasp on how parameters work in VA so I'm hoping you might be able to address this. I want to pass a single piece of data (say latest date OR most popular item in the office fruit bowl this week) to Visual Analytics (Designer) and use this in calculated items for various tables and filters in various objects. If I create a parameter associated with the data item 'fruit' or associated with a Control Object (Drop-Down List or button Bar with the category being 'fruit') and then create calculated items/filters as required all works fine. The problem comes if the table is repopulated with 'fruit' value 'Apple' and reloaded to VA. The parameter value does not update. I have check the 'Required' box for both of the controls and the Button Bar even shows the single possible value but it is light-gray (unselected) i.e. 'Required' is not forcing selection. The logic seems to be that the value of the data item has not been (re-)selected so the parameter is not updated. Do you know any way to make this work as I'm intending or know any other way to address the problem. I think I’ve replicated your described scenario and got something working. I’ll email you directly so that I can include screenshots. But essentially I created a calculated data item to help set the value of the parameter.